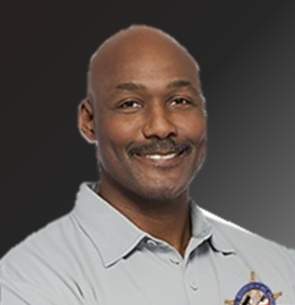 Karl Malone, nicknamed “The Mailman”, played power forward his first 18 seasons (1985–2003) in the National Basketball Association (NBA) with the Utah Jazz and formed a formidable duo with his teammate John Stockton. He also played one season for the Los Angeles Lakers. Malone was a two-time NBA Most Valuable Player, a 14-time NBA All-Star, and an 11-time member of the All-NBA first team. His 36,928 career points scored rank second all-time in NBA history (behind Kareem Abdul-Jabbar), and holds the records for most free throws attempted and made, in addition to co-holding the record for the most first team All-NBA selections in history (tied with Kobe Bryant and LeBron James). He is considered one of the best power forwards in NBA history. Malone played college basketball at Louisiana Tech University. In his three seasons with Louisiana Tech, he helped the Bulldogs basketball team to its first-ever NCAA tournament in 1984 and to first place in the Southland Conference in 1985. The Utah Jazz drafted Malone in 1985 with the 13th overall pick in the first round. Malone also competed with the United States national team in the Summer Olympic Games of 1992 and 1996; in both years he won gold medals. After retiring from the NBA, Malone joined the staff of the Louisiana Tech Bulldogs basketball team in 2007 and was inducted into the Naismith Memorial Basketball Hall of Fame in 2010 (twice – for his individual career, and as a member of the 1992 United States men’s Olympic basketball team). Malone led the NBA in free throws made a league-record seven times. He was a physical defender and rebounder, and one of the most durable players ever in the NBA. He maintained a high level of play even at age 40, becoming the oldest player to both log a triple-double and to be a starter on an NBA Finals-bound team. Malone’s work ethic showed prominently in his formative years in the NBA, when he raised his throw shooting percentage from below 50% to 75%. Malone wore number 32 for the Utah Jazz. He wore number 11 for the Los Angeles Lakers (number 32 was retired honoring Magic Johnson, though Johnson himself offered to have it unretired for Malone to wear, an offer Malone refused) and also for the Dream Team (the players wore 4 to 15 to adhere to FIBA rules). Malone is regarded as one of the best power forwards in the history of the NBA and was known as “The Mailman” for his consistent delivery. He collected two regular season MVP Awards, eleven NBA First Team nominations and was also selected to the NBA All-Defensive Team three times. Malone is an avid hunter and fisherman. He owns a summer home near the Kenai River in Alaska. FAMILY Malone married Kay Kinsey, winner of the 1988 Miss Idaho USA pageant, on December 24, 1990. They have four children: daughter Kadee, daughter Kylee, son Karl, Jr. “K.J.”, and daughter Karlee. K.J. played football at LSU, and was invited to the 2018 NFL Combine.